We can all remember the moment we are given fine jewelry to celebrate a special occasion. 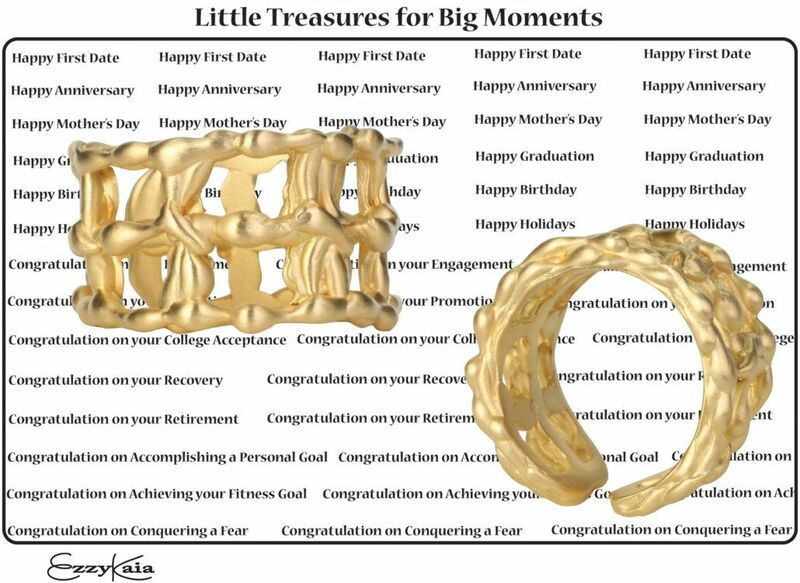 Think about it – you will never forget that moment, when you received a beautiful gold ring, necklace, bracelet or earrings by whom, when, and why, and how honored this gift made you feel. 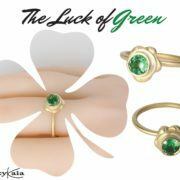 EzzyKaia’s gold living fully ring is inspired by striving to reach your fullest potential, and following your dreams. 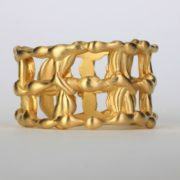 However, this intricate gold statement ring also represents relationships that are interwoven to create strong bonds and tales of different life experiences coming together to paint meaningful stories of how important we are to each other. By creating wonderful memories of life’s special moments woven together, we find comfort that we are not alone; because our lives include the people we cherish. Together we build, grow, love, challenge, and support each other to reach our fullest potential, because of the fact that we are loved. Fine gold jewelry does not loose its value, and is made to last, which symbolizes how important the moment is and how fortunate we are to participate in the journey of life with each other. Beautiful jewelry signifies the remarkable accomplishments we achieve, and the thoughtfulness that goes into selecting the best gift of gold to celebrate our love ones. Celebrating life’s little accomplishments, and big life changing events is a way of life but having someone to celebrate with is extremely special. Whether it’s an anniversary, birthday, or engagement gift– all is worth celebrating with those you love.